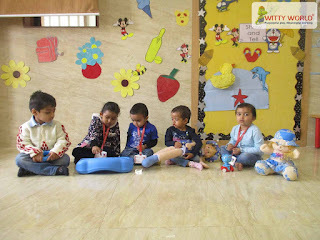 Some are here, and some are there! 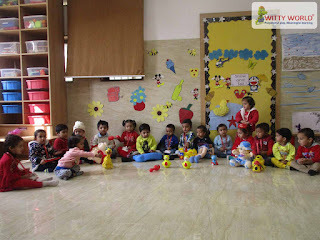 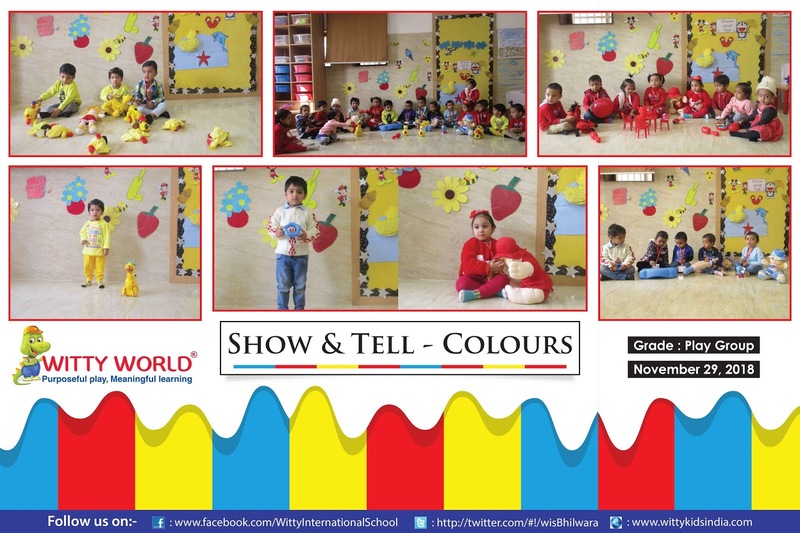 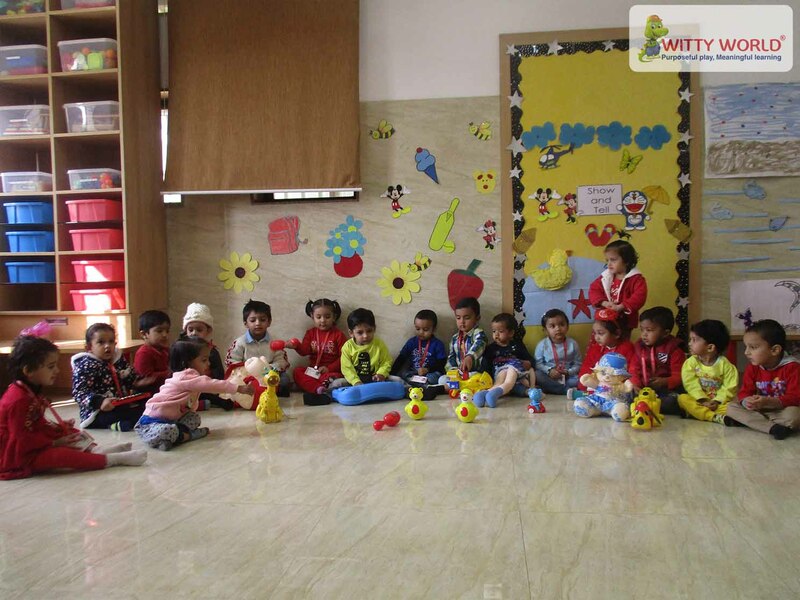 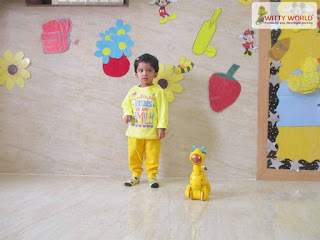 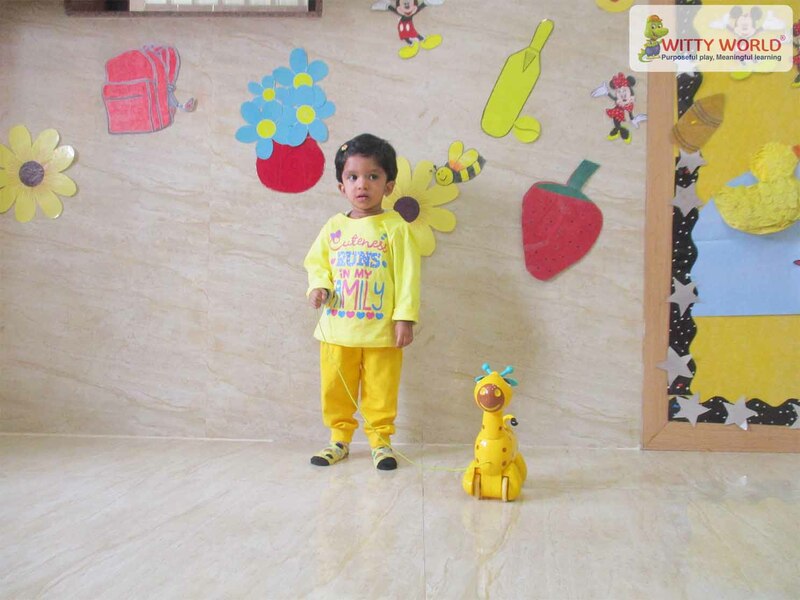 The toddlers of Witty World Bhilwara class Playgroup enthusiastically participated in Show and Tell Activity based on Transportation. 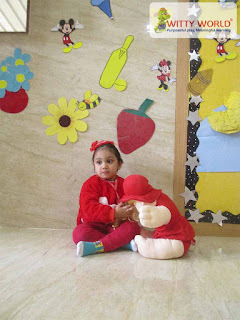 On Thursday, October 29, 2018 with a lot of fun. 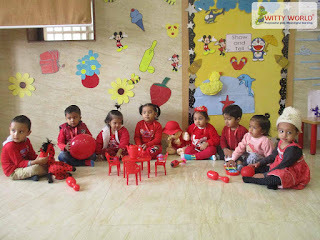 The kids and the teacher came to school in coloured clothes and brought their favourite colour objects and spoke about it. 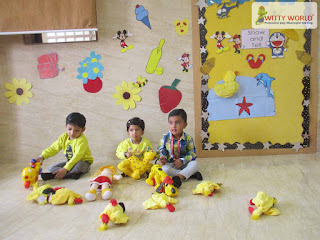 Children did blue colour balloon dabbing in the worksheet. 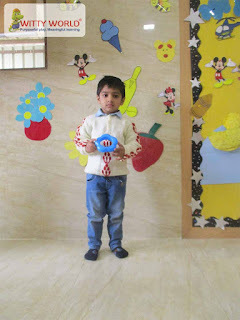 Story of Blue billy boy shown to kids. It was a practical way of learning for kids.